The Green Bay Packers are reportedly set to hire Mike Pettine as their new defensive coordinator. The 51-year old Pettine was a defensive coordinator with the New York Jets (2009-12) and Buffalo Bills (2013) before taking over as the head coach of the Cleveland Browns prior to the 2014 season. Pettine went 7-9 in his first season with the Browns but was fired after going 3-13 in 2015. He spent last season as a defensive consultant with the Seattle Seahawks. Pettine’s New York Jets defenses ranked first, third, fifth and eighth. His defense in Buffalo in 2013 ranked 10th. Pettine runs a 3-4 scheme that involves press man coverage with a series of blitzes. 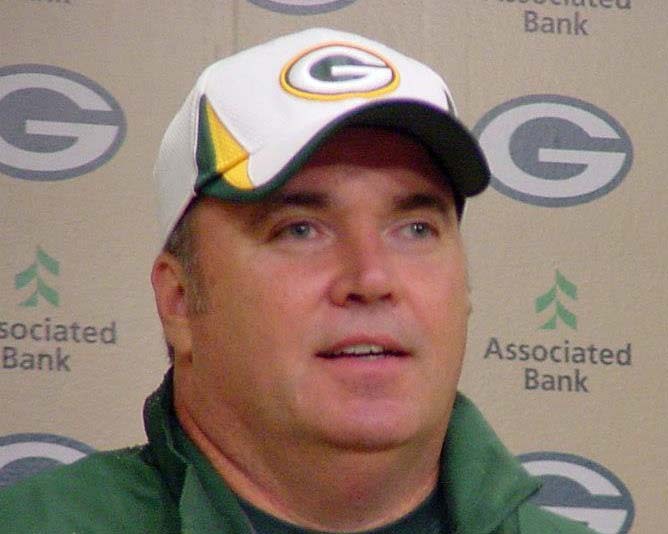 Mike McCarthy fired Dom Capers after the Packers finished 7-9 and ranked 22nd in total defense. Capers didn’t have a top ten defense in Green Bay since the Packers’ Super Bowl season in 2010, when it ranked fifth. Offensive Coordinator Edgar Bennett will not return to the team. Joe Philbin, who previously spent nine years with the Packers, including five as offensive coordinator, returns. Philbin left in 2012 for the head coaching job in Miami. 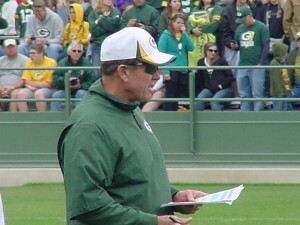 The Green Bay Packers fired defensive coordinator Dom Capers after nine seasons. The move was made after Sunday’s 35-11 loss at Detroit on Sunday. The decision came after a 7-9 season as the Packers missed the playoffs for the first time since 2008. Head coach Mike McCarthy isn’t stopping with Capers either. 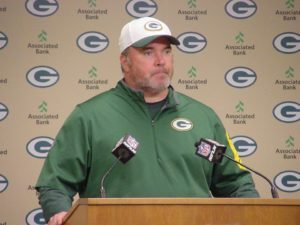 ESPN.com’s Rob Demovsky reported this afternoon that McCarthy has also dismissed defensive line coach Mike Trgovac and inside linebackers coach Scott McGurley and their could be more. The Packers’ defense finished 22nd this season, the fourth time it has finished in the bottom third of the NFL over the past seven years. The only time Dom Capers finished with a top 10 defense was the Super Bowl season of 2010. The Packers defense finished 5th that season. The 67-year-old Capers broke into the NFL as the defensive backs coach of the New Orleans Saints in 1986 and earned his first coordinators job with the Pittsburgh Steelers in 1992. He served as head coach of the Carolina Panthers and Houston Texans and was named the AP NFL Coach of the Year in 1996 with Carolina. After getting just six snaps in the Green Bay Packers season opener against Seattle, defensive back Kevin King played in 46 snaps in last Sunday’s loss to the Atlanta Falcons. The Packers top draft pick was one of the few bright spots in that contest and could see more opportunity this week when the Packers host the Cincinnati Bengals at Lambeau Field. King didn’t get the start against Atlanta, but where others failed, King came on to try to slow down Atlanta’s Julio Jones and was successful. King replaced Damarious Randall at right corner in the second quarter. 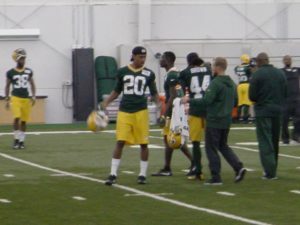 The Packers selected King and safety Josh Jones, who also saw an increase in playing time after Kentrell Brice left the game with a groin injury. 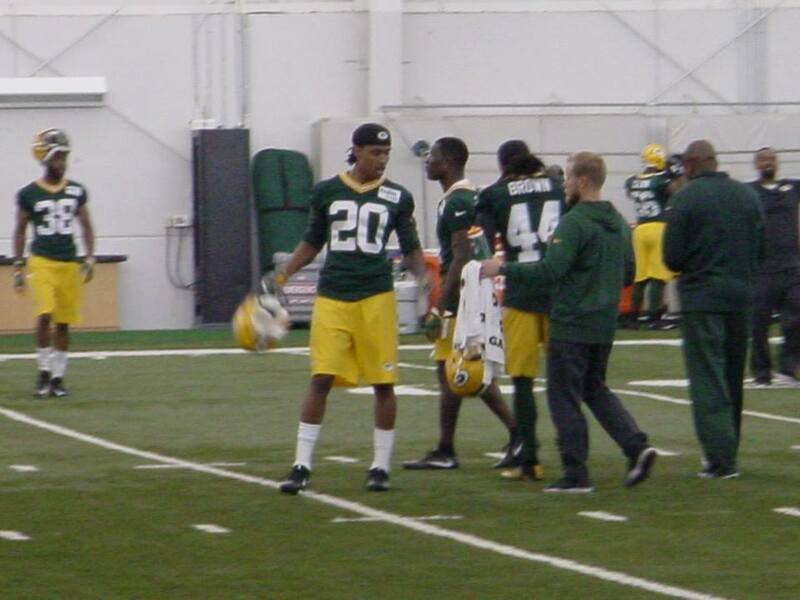 The Packers identified a lack of speed as one of its goals to improve on during the offseason. We’ll see Sunday if the time is now for King and Jones. 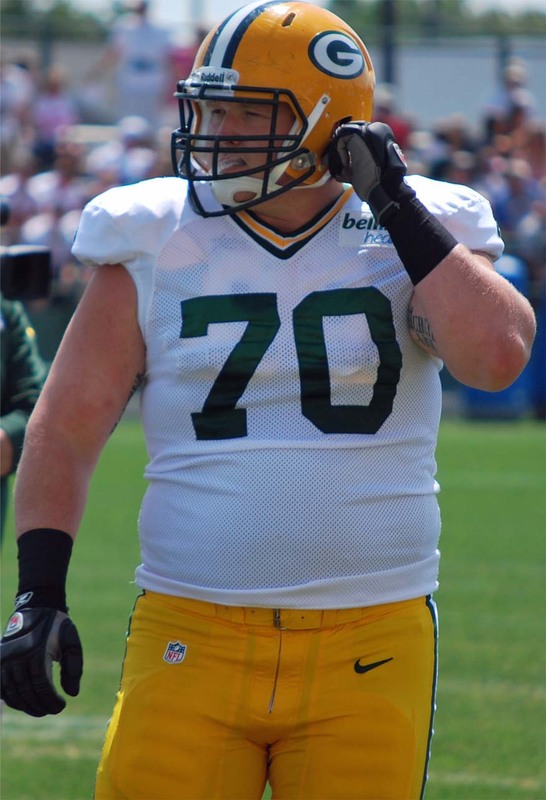 Green Bay Packers guard T.J. Lang was back on the field Monday night, becoming the first of the six players that started training camp on the P.U.P. list to be activated. Lang is coming off of offseason shoulder surgery and missed the first week of camp mostly as a precaution. Lang said last week that he expected to return to practice by no later than Monday. There’s been no change on the other five P.U.P. players: Sam Barrington, Jordy Nelson, Corey Linsley, Jared Cook and Ty Montgomery. The Packers held their second straight night practice, this time under the lights at Ray Nitschke Field. They practiced Sunday night at Lambeau Field for Family Night. Tuesday is a scheduled non-practice day. They have two more night practices scheduled on Wednesday and Thursday nights. The Pro Football Hall of Fame announced the list of presenters for this year’s inductees. 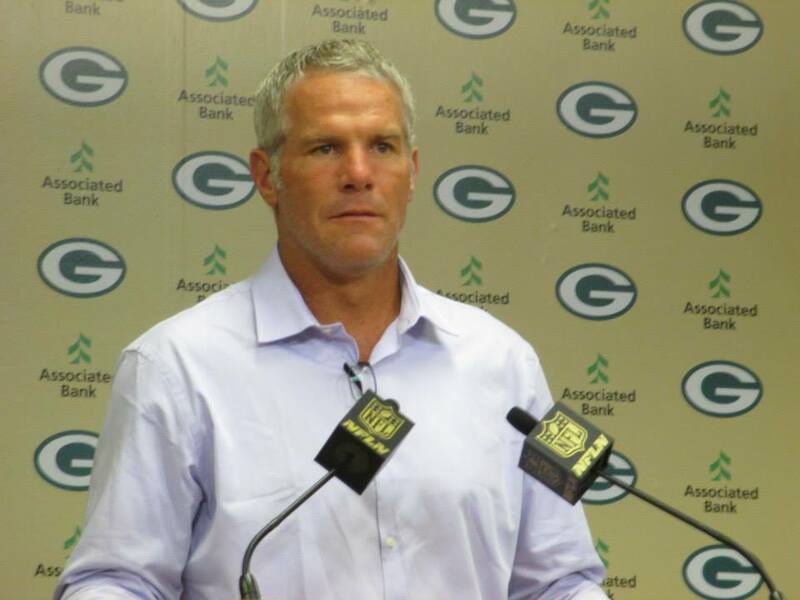 Former Packers quarterback Brett Favre will be presented by his wife, Deanna. Deanna Favre becomes just the second wife to present a husband for induction into the Hall of Fame. The only other wife was Kim Singletary, who presented her husband Mike in 1998. Former Packers linebacker coach Kevin Greene is also being inducted this year. 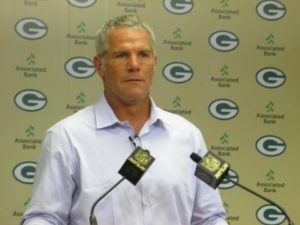 He will be presented by Packers defensive coordinator Dom Capers. Capers coached Greene with the Pittsburgh Steelers and Carolina Panthers. The Green Bay Packers struggled with tackling last season and again during the preseason, so it shouldn’t have been a surprise to see many of those issues come up in last Sunday’s 31-23 win over the Chicago Bears. The Packers spend time in practice working on tackling form, but it hasn’t translated to the games. Matt Forte and Jacquizz Rodgers gained another 54 yards after contact or totally missed tackles against the Bears. Defensive Coordinator Dom Capers said it’s not good enough. Philadelphia Eagles on Sunday. The loss meant the Green Bay Packers have dropped back to back home games for the first time since the 2008 season. The crux if problem is a defense that couldn’t get off the field in the fourth quarter and has struggled all season in creating turnovers. Last Monday night, the Bears put together an 18-play, 80-yard drive that ate up most of the fourth quarter. Fast forward to yesterday and this time the Eagles killed off the final 9:32 of the game and won going away. kickoff against the Washington Redskins at Lambeau Field. The Redskins lost their season opener, Monday night at home against Philadelphia and Robert Griffin III looked extremely rusty after being limited during training camp. It would appear the Packers are catching RGIII at the right time. Griffin returned early from major knee surgery back in January and appeared to be limited in what he did against the Eagles on Monday night. He did improve in the second half of that game as the Redskins put together a comeback. But he still lacked the explosiveness that he had as a runner last season when he won Rookie of the Year honors. Griffin finished the game 30 of 49 for 329 yards, but 169 of those yards came in the 4th quarter when the Redskins scored 20 points in a comeback attempt that fell short. The Eagles blitzed Griffin on nearly 50% of his pass attempts and the numbers were favorable for Philadelphia. That could mean Dom Capers will dial-up a number of blitzes for the Packers on Sunday. The question Capers will have to ask himself is this: Will RGIII have knocked off some of that initial rust off and how effective will he be against the Packers in week 2? Last season, Griffin finished third in passer ratting (102.4) and fourth in completion percentage (65%). He led the NFL in average yards per pass (8.14). Griffin was an accurate passer last season. If he regains some of that form by Sunday at Lambeau Field, the Packers could find themselves in a dogfight. 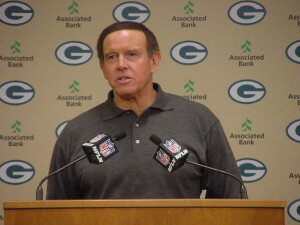 Dom Capers returning to Green Bay??? Green Bay Packers coach Mike McCarthy said he still has to evaluate his coaching staff, but he’s very confident Dom Capers will return as defensive coordinator next season. McCarthy and Capers are scheduled to meet much of the day today to go over the performance of the defense this season. It’s possible that Capers’ future with the team could come up at that time.